“Are you a basic Excel user? Or an advanced level user? And searching for the best online Excel training courses? And you don’t want to spend the top dollars on the training? You’re at the right place. I have curated total 15 best basic & advanced online Excel training courses on this page that are of high values (I emphasize, courses are really of high values) and the courses are very cheap with the discount (except for 1 course). In today’s labor market, it has become necessary to have as many skills as possible. One of the most important and useful skills that is required for most positions is excel and not just the basic knowledge of excel, as they say, the more the better. Depending on the job that someone has, the appropriate knowledge of Excel is the key. Learning the basic and even the advanced Excel is not as complicated as it may seem. In fact, there are excellent courses online that make the process a lot easier. But these skills are not enough if someone aims at well-paid jobs. Those positions require Excel experts that differ from the average Excel users. 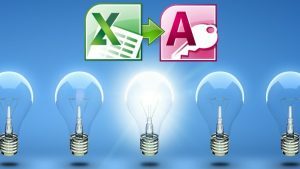 One of Excel’s characteristics that can really help people differentiate from the others is Automation with VBA. And why is that? Because Automation helps users minimize the time they need to do in order to produce certain results especially when it comes to reports (monthly, weekly), analyses and reconciliation of data at certain time periods. One other very important element of excel is Excel Formulas. These formulas are the key to translating visions into actions. Sometimes even if someone cannot explain what he needs, he can translate these thoughts into formulas and be clearer than with simple English. One other benefit of formulas is that they help to design and organize spreadsheets that contain a lot of data. Another useful possibility given by Excel is data analysis and calculation. With the appropriate knowledge, it is relatively easy to build models, perform complicated calculations on data, and present the findings in charts and tables. All these benefits and features can have a big impact on a resume and help people advance faster in certain positions. Below follows a brief presentation of the main Excel levels and how can someone achieve them. #Ultimate Excel Waterfall Chart Course – NEW! #Power BI A-Z: Hands-On Power BI Training For Data Science! Basic Excel skills are easy to acquire and can help people perform many tasks that are necessary for every position. Some of the most important skills that someone can obtain with Basic Excel skills are calculations, functions, tables, data listing charts and graphs. All these skills can not only save time (it would take ages to do all these with another program) but also increase productivity and provide better results. Courses are of high values and handpicked by me. Buy them without any hesitation! There are two suggested online courses, both offered by Udemy that can help learning these basic skills in Excel. The first course is 13 hours long and the user can progress from Beginner to Advanced. It doesn’t require any prior knowledge and it is really thorough since it is divided into four stages (Beginner, Intermediate, Advanced, Macros, and VBA). One big advantage is the duration of the course. In only 13 hours someone can reach the Advanced level at the ease of the home and someone’s own pace. The price of this course is a definite advantage. There are many courses out there, but finding the right one at the right price is quite difficult. The trainer of this course is highly trained and has a lot of experience not only in using Excel but also in teaching it to others. Even though this course focuses on the basic Excel skills, it makes an Introduction to Macros, VBA, and formulas. As mentioned above these skills are necessary for those who wish to advance their career and save work time. Another big advantage is that there is no prior knowledge as a requirement for those who wish to follow it. So, even if someone has not used Excel before, he can learn everything from scratch. Get this course at Udemy at the lowest price! Overall, this is a well-rounded course that is suitable for both slow and quick learners, and it lets you move at your own pace. It is easy to follow, provides very clear instructions, and can be easily understood. The instructor has an excellent and engaging way of presenting the course’s concepts, and the lessons are broken down into manageable chunks with relevant and interesting examples. 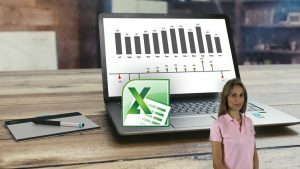 Even if you’ve used Excel before, you will be sure to come out with something new after completing this course and be able to use the tool more efficiently than before. The second course offered by Udemy is for those who have less available time but they still need to learn the basic Excel skills. The duration of this program is only 8 hours and by the end of the course, participants will have reached Intermediate level. It has more than 32,500 students and 4.5 rating meaning a lot of satisfied users. No necessary equipment is needed, just a computer with Excel 2013 installed. The course is organized in simple steps with visuals so that everything is clear. After the end of the program, the user is able to perform simple operations in Excel like calculations, graphs, and charts. This program is suitable for those who do not have any prior knowledge of excel but learn better with step by step training and with visualizations. One big plus is the material given by the instructor. In this way, the user can follow the trainer and perform the same steps. This course is presented in a way that is easily understood by students of all walks of life. Whether you are an experienced executive or a freshman in high school, you will likely be able to follow this course easily. Many claim that this is definitely the first course to try if you are looking to learn Excel for the first time. The instructions are clear and it teaches you relevant topics that most Excel users will use on a daily basis. Moreover, it is well presented both visually and orally for the student’s convenience and ease of use. Lastly, this course can actually put a fun twist to learning Excel. In today’s competitive market the majority of employees has a basic Excel knowledge. It is suggested that an average employee should have reached at least the advanced level of Excel and know Pivot Tables, Macro Operations, VLOOKUP and IF statements. With these tools, the user will be able to perform more complicated tasks, be more efficient and work on much more complex projects. Definitely the high rating, 4.5 stars from 1.379 ratings and more than 38.800 students. The statistics speak for themselves! Only 10 hour- long. Ideal for those who want to learn more about Excel but do not have much free time. After the successful completion of this program, the task time will be significantly reduced. No special requirement in order to participate in this course. Suitable for those who already have a previous experience in Excel or they have completed the Beginners course. The course provides working material so that the user can follow the instructor. This course is stapled in all Excel training. It has helped many people over the years get a strong handle on the tool and has made it easier for students to become masters at Excel. It is nicely designed for anyone who wants to learn things faster. The instructions are clear and concise, it runs at a good pace, and the materials provided will allow you to practice what you have learned along the way. 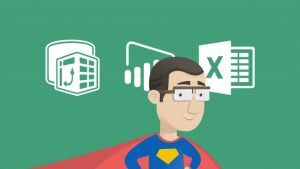 If you are looking to shorten the amount of time it takes you to complete a task in Excel, then this is the course for you. Once you’ve run through all the exercises, tasks that used to take hours to complete will only take minutes. Overall, this is a highly recommended course for all of those people who want to perfect their Excel skills. Why do you need to learn to build a dashboard in Excel? Because dashboards are the things that help your company leaders to take the decision from the company data. The leaders or managers don’t want to get lost in the world of data; all they need is the conclusion of the data that are stored in the data warehouse. Here is an information for you: 95% of all U. S. firms use spreadsheets for financial reporting. Though many people treat dashboard and reporting as same, they have some differences. You can take dashboard as one-step more advanced than reporting. Learning how to build dashboard is always rewarding. Professionals who can build dashboards are highly paid. 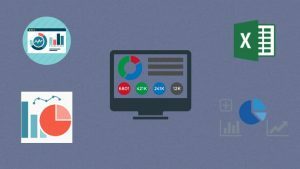 For you, I have selected the best dashboard training at Udemy. Abdelrahman Abdou, who is working as MIS and Reporting Analyst in Vodafone International Services in Egypt, is running this course. You will learn the necessary Excel functions in 24 lectures. These functions are essential to building Excel dashboards. Then you will learn the tools to make a dashboard interactive. The tools include Form controls, Buttons, Checkbox, List box, Combo box, Scrollbar, Spin button and so on. In the next section (Dashboarding Techniques), you will learn all the necessary techniques to make an Excel Dashboard. On the next section, you will learn to build a dashboard practically. Abdou named the dashboard “The Adventure Works Sales Dashboard”. 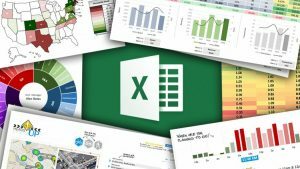 So, this course will teach you to build professional looking and interactive dashboards using MS Excel. Most of the business gather, organize and interpret a large amount of data in order to make identify trends, opportunities, threats and make decisions. Since the amount of data gathered is very large, the best way to present findings in the data visualization. It is easier to communicate information and highlight the most important findings and identify trends. So, when someone includes charts and graphs into a report can easily explain the findings of his work and market better his idea. 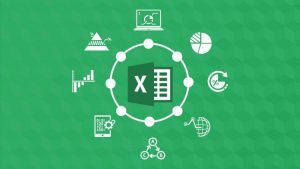 This is the ultimate course on Excel charting that you need to master data visualization with Excel. Leila Gharani is the instructor of this course. She is a Certified Microsoft Excel Expert and has over 15 years of experience in implementing and training users on MIS of different sizes companies. She is a Masters in Economics from the University of Waterloo. The students who took this course are really happy and her teaching method is extraordinary. Want to impress your clients or managers with interactive charts? This course is the one that fulfills your dream and this is an 8-hours long course. The course is also targeted to those who already use Excel professionally. For instance, Financial Controllers and Analysts that are responsible for reports and Finance department managers are the ideal audiences that will benefit for sure from this course. Excel charts. Participants will learn how to create charts from scratch, dynamic charts and Chart combinations. Excel reports with graphs that are well organized and easy to grasp. Methods to compare graphs, for example, Actual Data versus Budget. The participants will reach an advanced level that will help them become Experts and produce more effective and impressive representation of their results. 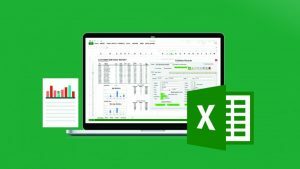 One of the most comprehensive online course that can help in mastering Excel charts is this one, offered by Udemy. This course is open to anyone who wishes to learn how to create charts in Excel only in four hours. Focuses on different variations of waterfall graphs that are widely used in Management reports. The course provides an Excel Workbook containing all the waterfall charts covered during the course as well as Quick reference guides for future use. Besides Waterfall Charts, the course covers other Chart techniques that are equally important for reports and presentations. One strong advantage is the duration. It lasts only four hours. No special version of Excel in necessary in order to participate in this course. This course is targeted to those who already have a previous experience with Charts and Formulas. Depending on the Excel version, some charts or commands may differ. 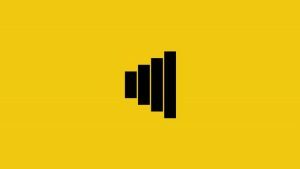 This is one of the highest rated courses in Udemy. The explanations are very clear and understandable, which makes a world of difference when you are trying to learn something new. The content is unique and delivered with excellent communication in a structured manner. If you want your reports to shine, then you need to perfect your Excel chart skills. This course provides you with all the materials you need to make that happen. Perfect your Excel chart skills so you can create and maintain stunning graphics with this awesome course. The key to a successful Data Analyst is being able to master Excel. At this point, no Basic or even Advanced Excel skills are enough. The most important and necessary tools that Excel offers to Data Analysts are a variety of functions ( Statistical, Date & Time, Text, Lookup/ Reference), formulas ( Array, INDIRECT, HYPERLINK, WEBSERVICE & FILTERXML). With these tools, the analyst has the opportunity to manipulate text, times, dates, arrays and design formulas based on formatting rules. Also, it helps the analyst to automate many analytics tasks without VBA! One course that offers all these necessary skills is this one by Udemy. This is a very comprehensive course that lasts 6 hours and is targeted to those who already have a basic experience with formulas. Those who do not have this experience can participate but they may find some points quite difficult to grasp. The course offers more than 60 pdf slides, quizzes, and practice so that the user can continue practicing even when the course is over. Step by step guides on how to use all the analytic tools of Excel. This method has been proven to be very efficient and provides with the best possible results. While participating in the course, the user has the opportunity to practice what he learns by executing Excel functions from scratch. All advanced functions and formulas are in one course, so in just 6 hours someone can learn everything necessary to solve business problems and perform complex data analysis. Formulas and functions can be the most complicated thing to learn and understand in Excel. Having top-notch training is essential to making your Excel journey a success, and allow you to use all the tools that it has to offer. This course can be one of the most challenging ones, but it is definitely worth it if you want to perfect your Excel function skills. With this knowledge, you will be able to create the unthinkable and automate almost any function in a spreadsheet. You can create impressive macros and make your life, and your boss’ life a lot easier. There’s nothing better than having the knowledge necessary to teach a program how to do a job for you, and this course will allow you to do just that! A lot of people struggle to understand whether they should use Excel or Access in their projects. Excel is not a database, but it is widely used in order to store data, perform analyses and in some cases solve database problems. When something more complex is needed in order to perform multiple tables Excel is not the right program to use. For these cases, Access is the right choice. Access is the tool that helps gathering and processing data in complex tables, creating queries and of course create reports. Since Access is a different and more complex program, a comprehensive training is needed in order to be able to use it efficiently for business purposes. These skills offer a great competitive advantage in the marketplace. 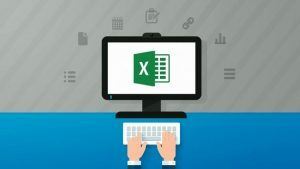 This course from Udemy offers everything that someone needs to know about Access and its relation to Excel. Some of the main topics that this course includes are reports, macros, forms and subforms, buttons in forms, queries, complex tables, and multi-value lookups. 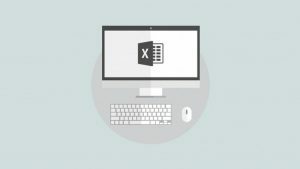 No previous experience is necessary but for those who already know how to use Excel, this course provides a detailed comparison and explanation on when to use each program. Each chapter builds on the previous one so there is a natural flow. The course provides working files and samples so that the user can work together with the trainer. This provides a better understanding of what is being taught. Linking two programs can be tricky; however, this ingenious course can make it a lot easier for you to learn the linkage between these two programs. This course is essential for all of those who use Access and need to perfect their skills in order to optimize their day. The instructor is very skilled in both Access and Excel and presents the information in a way that is very easy to understand. Students do not have an issue following instructions and learning the skills that this course has to offer. The instructions are concise and well-structured, which is essential for a successful course. Although it is an introduction to the two programs, you will be left with a world of knowledge once you complete it. 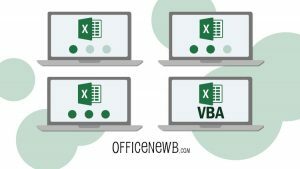 For those who wish to take Excel to the next level, one of the most necessary skills that he should have is knowing VBA. By adding VBA to projects someone can automate many calculations and save a significant amount of time. Also, VBA gives the opportunity to enhance and customize not only the user interface but also customer forms and worksheets. These skills are hard to find and there is great demand in the Marketplace. A value for money course for those who wish to learn more about VBA is this one by Udemy. This is an introductory yet very comprehensive course that teaches how to use VBA macros in Excel and create automation. Since this is a basic course for VBA no previous experience or knowledge is necessary. It would be really helpful for the student though to have a basic knowledge of Excel in order to grasp the concept better. 5 hour long. That means that it is truly a comprehensive course since other similar courses require a lot more time. Specially designed for professional and it focuses on the needs they have without wasting any of their time. No specific pc requirements, just Microsoft Excel (2007-2013). Another similar course offered by Udemy is this one for those who want to focus on automation. The length of this program is around 10 hours and no prior experience is necessary since it is tailor-made for beginners. The trainer includes easy tricks that help users learn the basic Excel language for automation. The lectures are short so that the student does not get tired or bored. One very important skill that is taught in this course is how to automate, customize and edit forms that are used in most positions. All the tools that are taught in this course have usability in everyday life. Power BI is a very successful tool that Excel offers to business. With Power BI users can explore, experiment fix, prepare and present the findings of their research or work in a very quick, easy to understand and beautiful manner. Udemy offers three very informative courses. The first course is the first introduction to Business Intelligence in Excel 2013. Focused on how to create reports, visualize data, create relationships between tables and complex calculations, KPIs as well as Key Metrics. 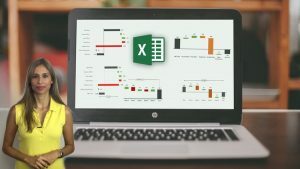 Unlike most of the other courses presented by Udemy this course is targeted to more advanced Excel users that already have an experience in Excel, do reports and create dashboards and of course to those who are interested in data analysis and presentation of the results. One great advantage of this course is that it lasts only 4 hours and includes a wide range of topics. The second course is this one. This course focuses on data visualization through Power BI and aims at discovering data patterns. It has a great application on Marketing since it can easily examine consumer behavior and sales trend. The magic of this course is that it helps the users take raw data and transform them into useful data visualization so that results can be obtained. Although this is a very helpful course it does not require any special previous knowledge and cover all levels of Power BI knowledge. From those that totally beginners to those who have some experience and want to enhance their skills. The third course is this one. This course is targeted specifically to those who already have a significant previous experience in Excel and work as Business Analysts, Data Scientists or Business Intelligence Developers. Those who wish to participate in this course but do not have experience can first participate in the beginner’s course mentioned above. The main goal after the completion of the course is to write DAX expressions performing calculations like Year-to-Date and Ratio-to-Parent. This 10 hours course includes Power BI and SharePoint, Basic Time Intelligence, DAX Language and Table Functions and CALCULATE. 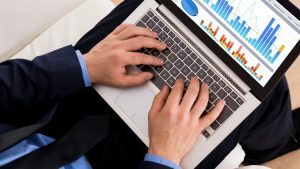 Although there are many programs that can assist in business data statistical analyses, Excel is one program that makes the whole process a lot easier. By using Excel business professionals can get useful insights from their data that will lead to important decisions. This skill is extremely useful for those who want to add something extra to their resume and aim at data analyst positions. 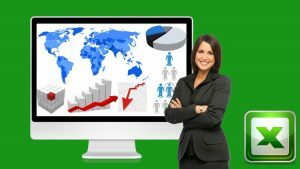 A very helpful course for those who wish to learn more about Statistical Data Analysis is this one by Udemy. This course lasts 7 hours and is specially designed for people who already have a previous knowledge of Excel and data analysis. One very important requirement is that the participants need to have a basic statistics knowledge. The main topics of this course are Basics of Data Analysis, Visualization Data, Building Hypothesis and Relationships between data sets. It also included many case studies where students have the opportunity to see all the theory putting into effect. For those who work the Finance sector, Financial Modelling in Excel is a must-have. Those who already have experience in Financial Modelling know that it takes a lot of time and effort to build a model that can perform a long and complex calculation in seconds. A tool that can make this process a lot easier and faster in Excel. Udemy offers an excellent course for those who want to learn how to create those complex financial models. The length of this course is 7 hours and offers the opportunity to learn how to build sound Financial Models, understand how Company Valuation works and obtain the necessary skills for a career in Investing Banking and Financial Advisory. Emphasize on the method and learns while you act. Today is July 30, 2017 at 10:35 am. Get all the courses (except 1) on this page for just $10 (fo a limited time). Courses are of high values and hand-picked by me. Did I understand the info in the yellow box correctly??? ALL of the courses (except for 1) listed on the page could be purchased for $10. Or was the offer $10 for each individual course? Has this offer expired? I don’t see any clickable link to order all these Excel courses (except for 1)!